The Emerald City just got a whole lot greener. Along with Oregon and Colorado, Washington was one of the first three states to legalize recreational marijuana. To little surprise, the law has spurred a major interest in Seattle marijuana jobs. With all the excitement surrounding the industry, people are flooding into the city, looking to make their mark on the cannabis industry. While many people are interested, not all are equipped with the knowledge of local legislation surrounding recreational and medical cannabis, as well as what employers are looking for in potential applicants. What Seattle Marijuana Jobs are Out There? There is a lot to consider when pursuing Seattle marijuana jobs, and the possible avenues for work are diverse and innumerable. Commonly associated jobs like growing, trimming and budtending are in hot pursuit by applicants eager to get hands on experience working with cannabis products. Given the surge in legal marijuana distribution, direct job opportunities are increasing, however, it is important to remember that like any booming industry, there are important offshoots of the industry including (but certainly not limited to) marketing, illustration, social media, graphic design, writing, skilled craftsmanship, apparel making and more. Seattle marijuana jobs are part and parcel with an exploding cannabis culture countrywide that not only reflects the work of farms and businesses, but also takes into account popular culture, film, television, and every form of communication that occurs between parties. Do a quick search on Craigslist and you might find a budtending job here or there, but a need for niche cannabis career websites is evident to better organize and facilitate communication between potential employers and employees. It might seem a little overwhelming to think of where you might fit in with such a fast growing industry, so I will offer some tips and tricks to stimulate your research on your next step in finding a cannabis career. Getting involved in the marijuana industry requires at very least a general knowledge of cannabis products, as well as farming and distribution practices and ways products can be consumed. It helps to be familiar with specific strains and understanding basic concepts like the major differences between “sativas” and “indicas.” Many employers are willing to help train new employees on the job, but are looking for base knowledge of the industry to improve upon. Going into a job cold, with little experience with cannabis may diminish your chances of being hired. It is also integral to keep current on any and all major legislation in effect in your specific municipality. In Seattle, recreational and medical marijuana are regulated under two separate governing boards as enforced by Washington State government. Medical marijuana is still regulated under the Washington State department of health, as it has been since medical marijuana was legalized. Recreational marijuana on the other hand, is governed by the Washington State Liquor Board, which was amended to the Washington State Liquor and Cannabis Board. 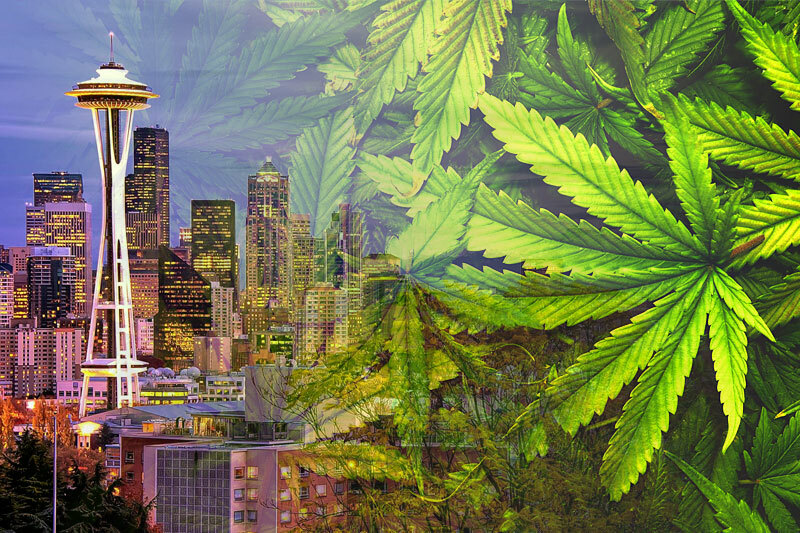 As cannabis continues to intertwine itself deeper into mainstream culture, an outcropping of resources to assist in finding Seattle marijuana jobs has also appeared in greater numbers. Spend some time looking through local cannabis publications, blogs and websites that offer further explanation and insider insights into being successful in the industry. Now that you have taken the time to explore the many marijuana job avenues in Seattle, as well as taking advantage of resources in education, it’s time to consider what job in this industry is right for you based on your interests and qualifications. It proves beneficial to break down the industry into specific fields to assess what skills are most relevant for each job. The allure of budtending is strong within many individuals looking to break into the cannabis industry in Seattle. Not surprisingly, budtending is one of the most sought after Seattle marijuana jobs. Not unlike a bartender, budtenders are the face of their industry. While this may seem obvious and inconsequential, hiring a great budtender is extremely important in an industry that is so hotly disputed with constant government oversight. The qualities a budtender must possess are, first and foremost, excellent customer service skills. The employee must be able to kindly and adequately guide customers through the experience of selecting and purchasing cannabis products and more, helping to suit their specific needs. After the legalization of recreational marijuana in Washington state, the demographic of marijuana patrons is expanding and diversifying. This increase in consumer demand is fueling the need for qualified marijuana industry educated candidates to fill the swaths of Washington marijuana jobs flooding the market. Adults young and aging from all walks of life are visiting dispensaries perhaps for the first time. Some customers may have never even used a cannabis product before and are looking for help in deciding what to try first. They may be nervous about the experience, so it helps if the budtender can compassionately provide information regarding the customer’s inquiries. A budtender must also be proficient in cash handling and basic math skills involved with weighing and packaging some products. Like an successful business, employees must be able to maintain an even drawer during busy shifts, all the while remaining consistent in their service. There are many other qualities associated with being a successful budtender including punctuality, knowledge of POS systems and more that are worth noting on a resume if you have experience in any and all of those areas. When seeking employment in marijuana growing or trimming, most large scale farms can be found in California and Southern Oregon. There are small cooperatives and growhouses all over the country, including some metropolitan areas, so there are opportunities for growing in Seattle. As a grower, the number one asset is experience. Growing requires skill and patience. It is also helpful to have a background in horticulture and farming as well. Trimming is another position that may be easier to acquire with sufficient experience. The best trimmers are quick, yet precise in their work. Though trimming can be tedious, once it becomes second nature to the employee, their ability to lock down yearly trimming jobs for increasing wages strengthens. Like you’ve probably heard a million times, it also comes down to “who you know” in the industry. I’ve found this to be especially true with jobs in farming and growing. It is important to have a solid, dedicated, friendly group of workers, so often management will seek out individuals who they can really trust. One of the best pieces of advice I can offer in this article is to capitalize on your specific skills. As mentioned previously, the cannabis industry cannot be pinned down to a just a couple of fields. In order for the industry to be successful, it requires involvement from individuals with many different talents. Though the competition for niche Seattle marijuana jobs may be stiff, there are opportunities for careers in relatively every area out there from glass blowing to caregiving. The marijuana industry is no longer an isolated one, as it continues to grow, it will infiltrate our culture and job market in a way that influences countless associated industries.